Diwali is just knocking the door. Have you decided what you are going to wear? 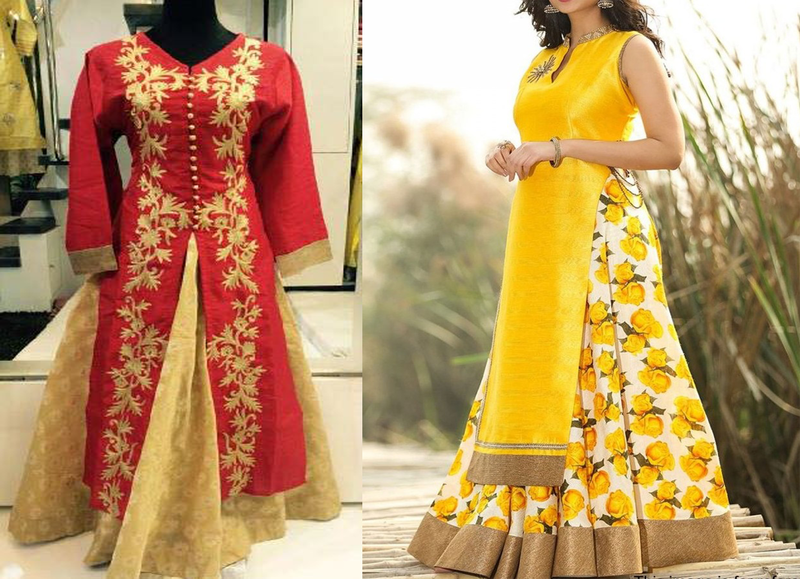 What about wearing something different which is ethnic as well as modern to rock this Diwali? We will discuss nine ethnic fashion trends with modern fusion here just for you. Scroll below and choose the right one which can be best suited for you. Diwali means the tradition of ethnicity. 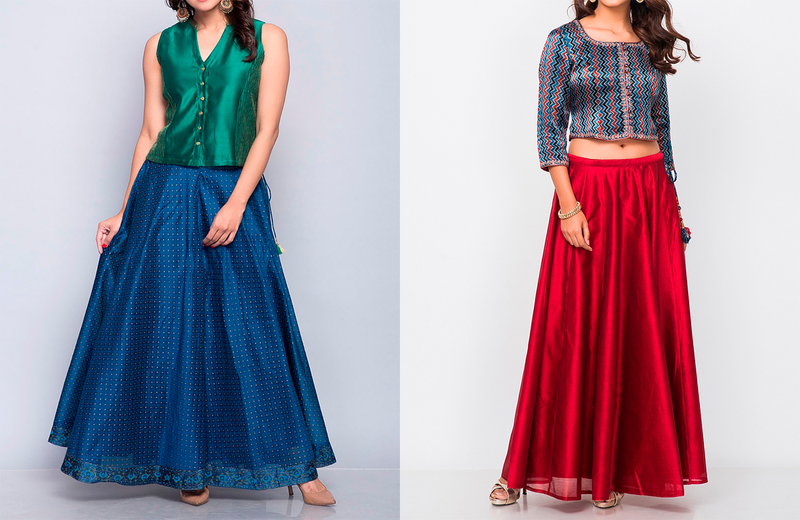 So you can go for traditional lehenga with mirror work crop tops. Besides looking gorgeous, it will also give you an attractive look on this Diwali. Definitely, it will make you different from others. 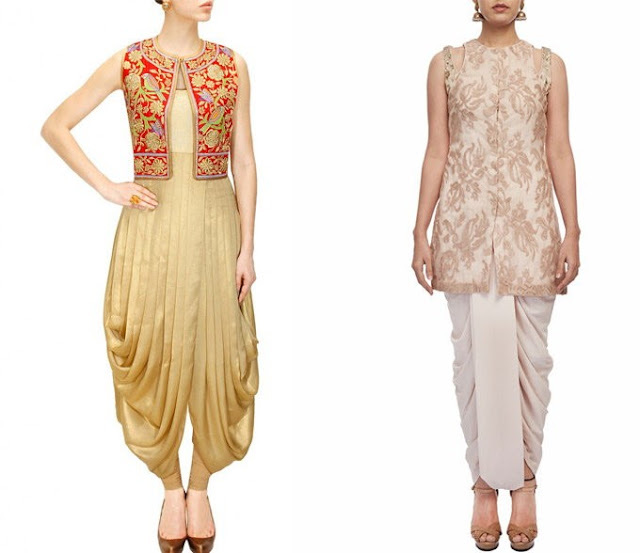 Dhoti Style is the oldest one but a newest ethnic fashion trend this season. Many Bollywood celebrities can be seen adorning it. The best part is that it’s very much comfortable as well as stylish. This unique concept will redefine your fashion trends. You can try with a Palazzos suits. Palazzos are the new fashion trends. There is a wide variety of palazzos from color, pattern, and fabric as well. 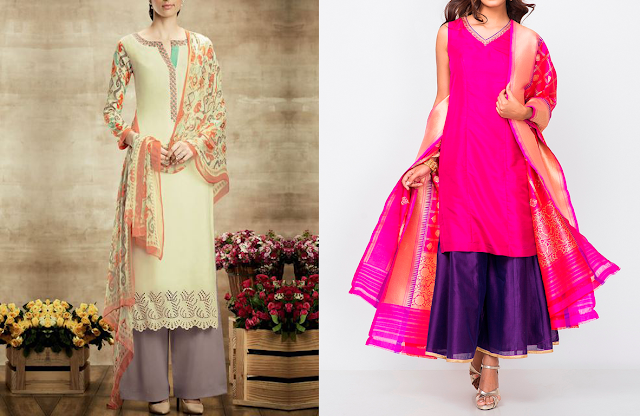 Rock this Diwali with a trendy kurta and fashionable Palazzo suits. Ethnic Indo western dresses are the latest fashion trend in the market. Fusion of western and Indian wear will rock this Diwali. This is available with attractive design and versatile style quotients. 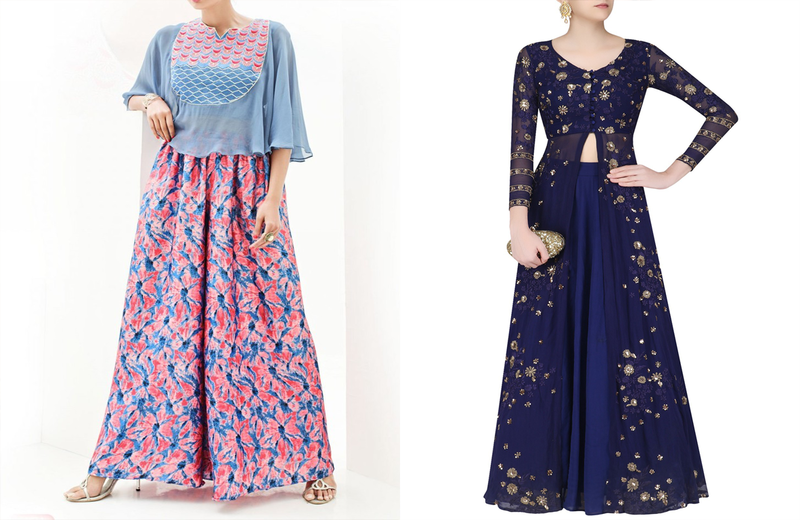 Become the style icon this Diwali by carrying this Ethnic indo-western outfit. Go for Jute skirt. You can choose a silk ethnic look kurti as a combination. This silk kurta with jute skirt combination will just create an ethnic as well as modern look. This Diwali goes for a fashionable silk kurti with a jute skirt on it. It will just create a glamorous look. 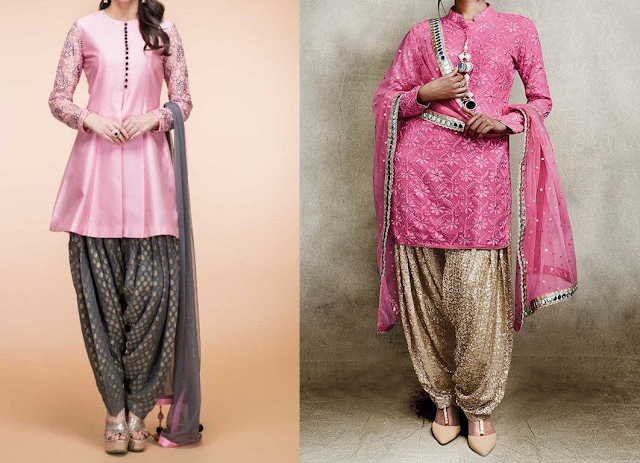 If you are invited to a Diwali celebration, you can go for the ultimate Patiala suit. Flaunt your fashion sense by wearing a Patiala suit with moderate embroidery. To be more fashionable you can pair it with traditional jewelry. Saree is the mother of all traditional outfit but when it comes to comfort and fusion, then go for Jacket saree. Your authentic Indian wear cannot get more fusion than this fashion ensemble. Dress up in your finest regional garb, and throw on a jacket to look like a total boss at your family’s Diwali celebration. 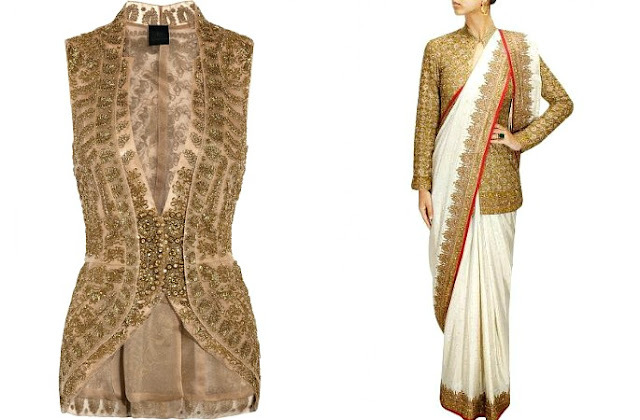 Adding a dazzling jacket to a simple Saree will bring a certain bling to your appearance. Be it thread work embroidery, embellished motifs, or beaded patterns, the plain Saree and detailed jacket combination is striking! While the Saree itself is unadorned, it will outstandingly show off the gorgeous jacket. And at the same time, complement the overall Saree attire. You can experiment with the length and style of the jacket to embrace the best of it. Put your thinking hats and incorporate your jackets with your sarees to complete your fusion look. Want to have a look something different? Something catchy? Flourish yourself by styling your saree with a belt. Belt will add an edgy look to your personality. You can style the belt at your waistline or mid waistline and show your appealing look to the world. Go for it just to be the eye catcher in a Diwali celebration party. You can also try the multi-colored digital print outfit for this festive season. This outfit features exclusive embroidery and lace border work with digital boarder and stonework. It’s an ideal attire to wear for Diwali. Also, remember to add some unconventional beautiful jewelry with these outfits to become more sophisticated and more elegant. Wish you a happy and stylish Diwali!! !